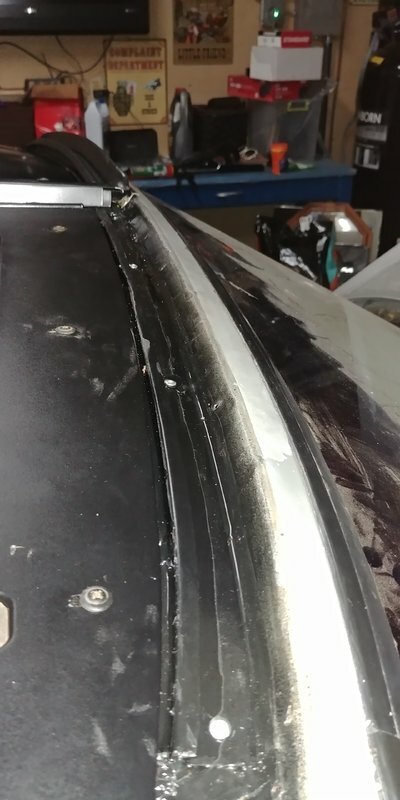 Need Help T-Top weather stripping and front trim. Does anybody have any Pictures of the Tops off up close. I would Like to see the weather stripping and the Black steel pictures, and how much Gap is in between. I’m pretty sure that trim goes in after the seals. Did you get the new foam that goes on top of the trim? 1986 Olds 442, 5.7 TPI from an '89 Vette. Original 200R4 built by Extreme Automatics, Kilduff lightning rods, aftermarket harness/computer chip, mid-length headers, Pypes X-pipe exhaust, Eibach springs all around, SC&C Stage 2 front suspension, boxed lower rear suspension arms, Spohn adjustable uppers. Custom painted Coys C-67 wheels 17x8 fr, 17x9 rr. 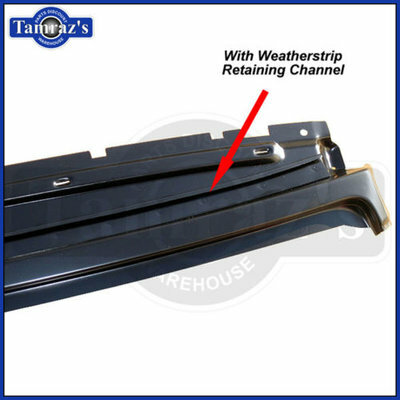 When I replaced the t top weatherstripping in my 88 SS Monte Carlo I set all the weatherstrips in the welded in channels first. Then locked them in with the body reveal trim. This is where a O-Ring pick or a scratch awl comes in handy to locate the pre drilled holes. I managed to do the same at the rear by only tightening the center trim screw before installing the seals. Go to a craft store or hobby store and pick up a package of "Popsicle Sticks", they are a valuable tool for tucking seals in without damaging them. A final fitment question, when My windows are up all the way there is a slight gap between window and the T-top weather stripping. Is there a way to adjust this? I was hoping once it sits in the sun it will give a bit and move around.. I think you have to go into the door and either add new sweeps or make an adjustment to something. My driver door glass is loose and doesn't sit properly. My passenger door glass is tight and fits right in. 1979 Monte which part number do I need?